Connection versatility sets the T8 apart from other isolation boxes. The T8 provides balanced XLR, 1/4” phone, and RCA type phono connections on all inputs and outputs simultaneously. 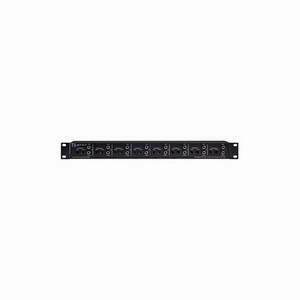 The T8 fits easily into virtually any audio system and is a clean patch point between all types of systems. The T8s mounting ears are reversible so you can have either the XLRs on the front or The 1/4” and RCA phono jacks on the front. This maximizes flexibility in cabling your system. Whether you need an interface between a computer based audio workstation and your monitor system, isolation on long cable runs in a fixed installation, isolation of multiple signal sources from your recording equipment, or in many cases, just a safer connection between two audio systems, the T8 can accommodate. * XLR, 1/4" phone, and RCA type phono connections on all inputs and outputs.